Five teenagers from diverse backgrounds are brought together by a war. A Japanese, a Jew, a Native American, an African American, and a white kid from middle-class America form an interdependent relationship in the jungles of Vietnam. They become the most highly decorated squad in a war they don’t understand, but their relationships transcend the social structures of racism formed through historical injustices, and they remain best friends for decades. 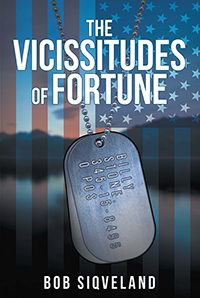 Their iconic leader, Billy Stone, one day finds himself entangled with a Medicare scam dreamed up by his sister’s husband. For his sister’s sake, he must find a solution. The livelihoods of the others form within the law enforcement communities in their individual and collective quest for justice as they grow from boys to men of great character. Even the strongest of character has its flaws, but these men are the best of the best, and there is only one adversity they cannot overcome. From the Selma-to-Montgomery march, the internment camps of WWII, the poverty and desolation of the Pine Ridge Indian Reservation; to the estrangement of a father and son and a suicide of great consequence, this team of five becomes one. At the same time, there are “takers” like Billy’s brother-in-law who infect the American system. They need to be brought to justice, but the price will be high. On the smallest of scales, this is an epic tale of how the dream of a world community can become a reality. Bob Siqveland grew up in St. Paul, Minnesota. After graduating from the University of Minnesota with a Bachelor of Arts degree, he earned the rank of Captain in the US Army and commanded a field artillery battery. He went on to become a venture capitalist, successfully funding thirty-three companies and serving as a corporate board member on a Twin Cities Bank. He currently works in the gaming industry. Bob has authored three novels, The Immaculate Erection, The Wilderness of Time and Simple Witness. 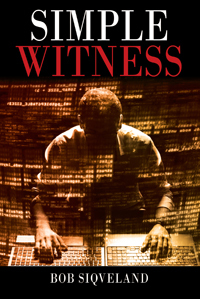 Simple Witness was a Finalist for an INDIE Book of the Year Award. Bob lives in Plymouth, Minnesota.